orange, 11 Feb 2012No. 2.1 is the last official rom for x8. But you can upgrade to unofficial custom roms plz tell me how can i update this phone to 2.3... coz i hate the condition on 2.1?! ur answer will help me alot,thanx in advance!! is the version 2.3 is available to this phone? [deleted post]sg y comes with a 832mhz processor which is faar highr than the one in x8 n it also has the latest versio of the android os running! but picture density n came quality is bettr in case of x8! but when u take the battry life also into consideration u should dfntly go with sg y! i think sg Y has all the qualities to fit into one's pocket!! Beer, 05 Feb 2012X8 is a very good mobile. dont compare Galaxy y with x8. And There is no Zooming option so no ... moreyou mean i cannot install java games in this phone?? 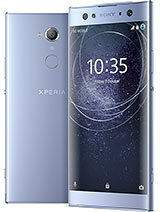 what is good phone SGY oR xperia X8? pls help.. thank you.. what are the advantage and disadvantage of the two phone, thank u..
Xperiat has very poor touch screen response, it works very slow, and it's ram also very low , it's andro version is also bad. Hav to upgrade. what is good in games xperia X8 or SGY? pls help.. i really need your opion..i dont know what to purchase in this two phone.. thank you..
ROGERTHAT, 09 Feb 2012Is these phone good in movie?or games? although it has a poor resolution.. pls answer anyone..... moreThe Xperia X8's HVGA(Half-size VGA: 320x480)resolution in 3.0 inches screen is not that bad.You can compare it to samsung galaxy y, mini and fit with only QVGA(Quarter VGA: 240x320) that's what you call "poor resolution". Is these phone good in movie?or games? although it has a poor resolution.. pls answer anyone.. thank you.